Grieghallen – Why should Grieghallen be your choice of venue? with easy parking and hotels in the immediate vicinity. 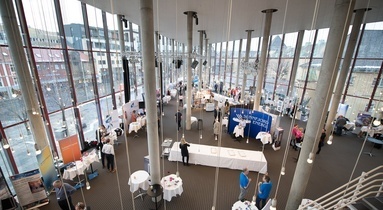 The sheer diversity and adaptability of Grieghallen enables us to accommodate local, national and international events. 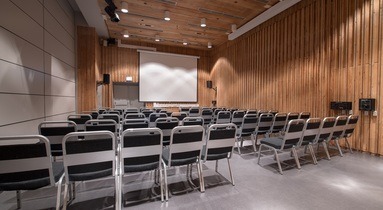 We are Bergen’s largest conference centre, with 13 conference rooms that are well suited for holding day one-day meetings, conferences, congresses, conventions and kick-offs. Everything you need to combine your meeting or conference with cultural activities or entertainment is here. 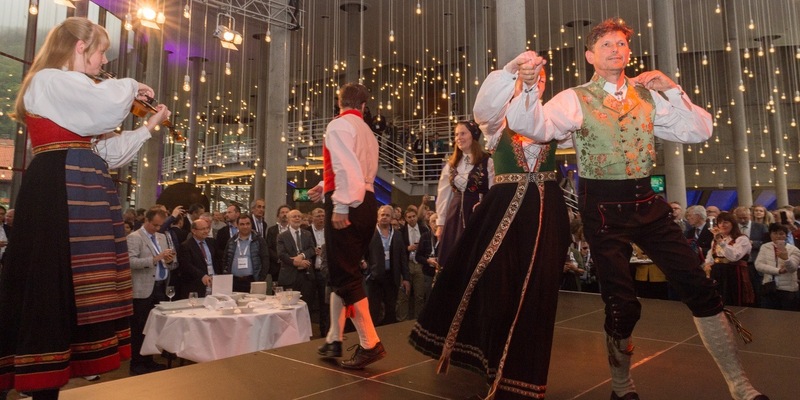 Grieghallen is a living cultural centre which is going to make its mark on your event. You can rent Dovregubbens Hall’s 3,500 square-metre space for events such as tourism conventions, housing conventions or trade fairs, and Edvard Griegs Plass’ 5,000 square metres are ideal for standing or sitting outdoor concerts. 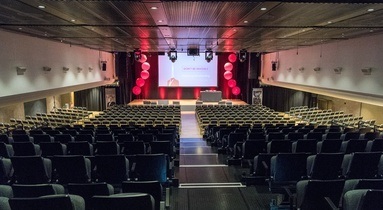 Grieghallen also offers venues that are suitable for all types of concerts and performances. Furthermore, both the public and our clients greatly appreciate our spacious foyers and mingling areas. Grieghallen is located right in Bergen’s centre, a five-minute walk from Bergens train and bus stations, ten minutes from the Fish Market and less than fifteen minutes from the funicular’s lower station. It is easy to get to Grieghallen, and it is only a short distance from the city’s many attractions. In addition, there is a car park under Edvard Griegs Plass with space for 420 cars. In 2016, Grieghallen completed a renewal project worth NOK 270 million. Part of this project included substantial upgrades of the two most significant concert venues. The Peer Gynt Hall was completely renovated with a new amphitheatre and stage tower, while the Grieg Concert Hall received a new stage floor, renewed auditorium and upgraded stage technology. Grieghallen’s agreement with one of the Nordic region’s premier audiovisual and lighting companies guarantees use of the latest technical equipment, with a high quality of services, personnel and technical solutions. Our vision is to create unique experiences – in the heart of Bergen. Our professional staff ensure that the services we provide are always of a high quality. We have extensive experience in hosting events and will provide you with a project manager who, together with our associates, follows the whole process from planning to execution. We have access to the latest innovations in modern audiovisual and lighting technology. We also have considerable experience with catering all types of events, from light refreshments to gourmet meals for large parties. Our surveys show that we score highly with customer satisfaction. Grieghallen was nominated in 2018 as one of the Top 10 in the “Attractions and Experiences” category (HSMAI) in Norway.